Oh good! Health secretary Tom Price has offered a comforting endorsement of the GOP’s plan to replace Obamacare. Take heart, for he believes “firmly” that “nobody will be worse off financially” under the new—bleak—provisions. 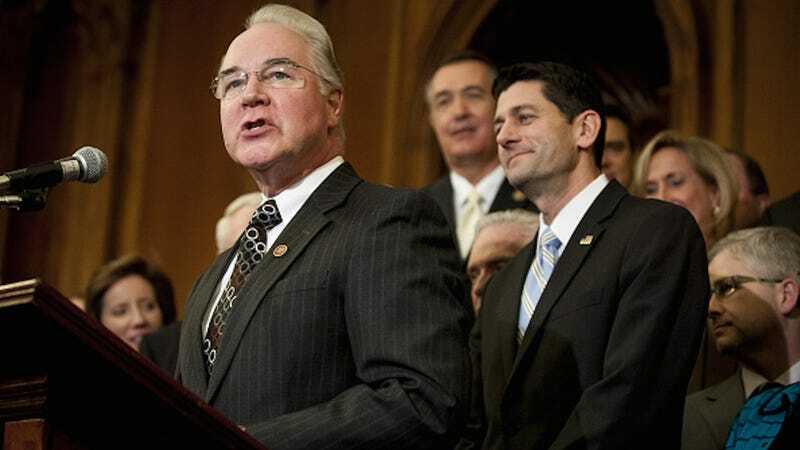 The AP reports that while Republicans squabble over the newly released bill—many believe it is too permissive—Price supports the measures that have been introduced. “I believe and the president believes firmly that if you create a system that’s accessible for everybody and you provide the financial feasibility for everybody to get coverage, that we have a great opportunity to increase coverage over where we are right now,” said Price, one of the shiny pink marble heads now populating Trump’s cabinet. The question, of course, is whether this new plan will offer “financial feasibility,” and that doesn’t seem to be the case. The Congressional Budget Office (CBO) will likely announce their evaluation early this week, detailing a cost analysis and the extent of coverage. The prevailing assumption is that the CBO score will predict loss of coverage for millions of Americans. Yet House Speaker Paul Ryan is unconcerned about these probable results. Why, of course the CBO will indicate fewer insured Americans! That’s what happens when people are bestowed the “freedom” to “choose” whether or not they want access to basic healthcare. Undoubtedly there will be millions upon millions that prefer to walk on the wild side. The plan being touted by Ryan would theoretically offer tax credits that could be used to purchase health insurance. But as the AP notes, this system could be severely limiting when it comes to care for the elderly. Republican governor John Kasich has also voiced concern over the plan’s impact on low income families. Meanwhile, Donald Trump promised as recently as January that he will replace the ACA with “insurance for everybody,” which sounds great but means very little — and it’s clearly not what his party has in mind. So, this should be fun!